How hot is this sun at the moment? I can’t recall any Summer hotter than this one for a very long time. I do love the sun and hot days when my children can sit outside and play. Of course it is vital that my children get enough fluids, otherwise dehydration and headaches can quickly set in. 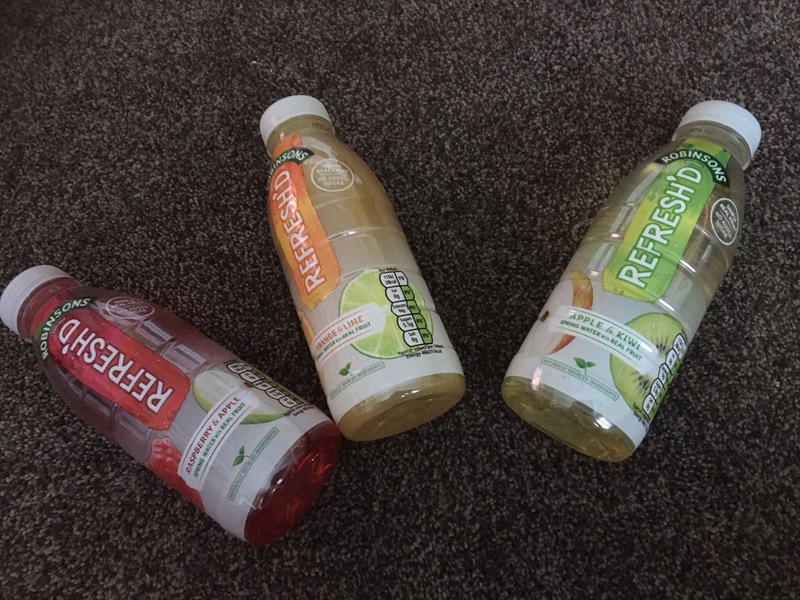 Robinsons have recently bought out some on the go type drinks called Refresh’d. These come in 3 fruity flavours and contain real fruit mixed with spring water. The 3 flavours – Apple & Kiwi, Apple & Raspberry and Orange & Lime are all made with 100% natural ingredients and have no added sugar, no flavourings, sweeteners, preservative or added colouring. These drinks have been produced to help the nation reduce their sugar intake as well as staying refreshed. They could not have come at a more perfect time with this baking hot weather. Each bottle is 500ml of refreshing juice, all of the flavours have their own natural sweetness and fruity flavours. Both myself and my children found them really hydrating. The new drinks should be on supermarket shelves by now as well as a few other shops and priced at around £1.29 per bottle. I would certainly choose to buy a bottle on a hot day like this when out and about.